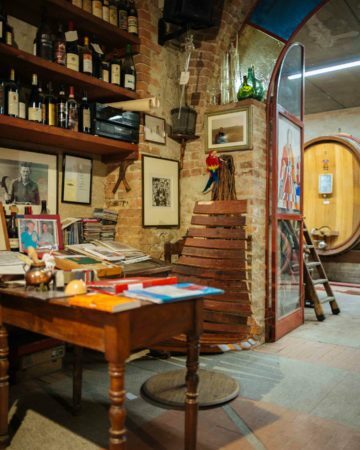 With its historic cellars located on a river in the tiny town of Monchiero, the legendary house of Guiseppe Mascarello consistently produces some of the top wines in Italy. The crown jewel of Giuseppe Mascarello is the Barolo Monprivato, which is produced from one of the most renowned vineyards in all of Barolo. The Mascarello family owns the Monprivato cru, a historic vineyard shown on maps dating back to 1666 which has been compared to a Grand Cru of Burgundy and offers ideal growing conditions for the Nebbiolo grape. The Barolo Monprivato is only bottled in years that the family considers to be exceptional vintages. 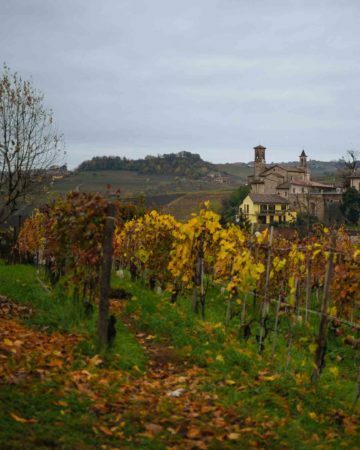 In other years, the Monprivato fruit is declassified and blended into a Langhe Nebbiolo. The winery is currently run by the adorable Mauro Mascarello (cousin of Maria Teresa of Bartolo Mascarello), his son Giuseppe, and his daughter Elena. 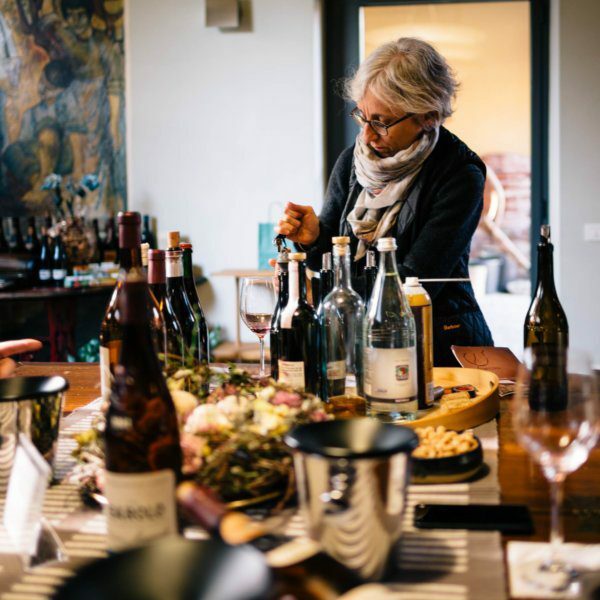 We tasted through their selections of Dolcetto, Barbera, Barolo S. Stefano, and Barolo Monprivato while admiring the numerous awards and critical accolades lining the walls of the small tasting room. While Mauro rarely hosts visitors, we had the privilege of touring the cellar with him. One sight in the cellar that is not to be missed is the 50 year old, “molto grande” botte that was commissioned by Mauro’s father. It’s no longer in use, as the winery does not produce enough wine to fill it, but it’s incredible to behold. If you look closely, there’s also a water line on the cellar wall, from a flood in the 1990’s that resulted in botti floating down the river. We love to get to know winemakers, so we asked Mauro to share a little about his favorite things to eat and drink at home. He does not cook often, his wife Maria Teresa does, but enjoys traditional Piedmontese dishes like mixed antipasti, pastas, risottos, and roasted meats. His favorite wines to drink when he was young was Dolcetto, and Barbera for a period, but now he prefers Nebbiolo and on occasions Barolo.